Our lab is using data science methods to analyze contemporary global culture - while critically interrogating these methods from the perspectives of humanities and media theory. Today people around the world create, share and interact with billions of new digital artifacts every day. We need new methods for seeing culture at its new scale and velocity. Since 2008 our lab has been addressing this challenge. We combine data visualization, design, machine learning, and statistics with concepts from humanities, social sciences, and media studies. Dr. Lev Manovich developed the concept of cultural analytics in 2005, and our lab was created in 2007 at California Institute for Telecommunication and Information (Calit2). Since 2013 we operate in two locations - Calit2 and The Graduate Center, City University of New York (CUNY). How can we "observe" giant cultural universes of both user-generated and professional media content created today, without reducing them to averages, outliers, or pre-existing categories? How can work with large cultural data help us question our stereotypes and assumptions about cultures? What new theoretical cultural concepts and models are required for studying global digital culture with its new megascale, speed, and connectivity? How can we combine different levels of analysis: individual artifacts, medium-scale patterns, large-scale patterns? How do we use data to measure diversity, variability, differences, and temporal changes in cultural data sets? Do we need to develop new theoretical concepts and models to deal with the scale and velocity of user-generated content? What would "science of culture" that use computation and big data look like, and what will be its limitations? 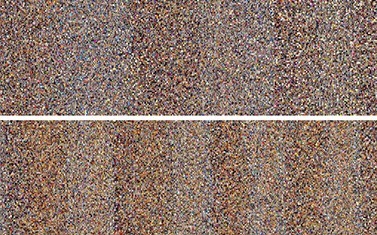 How do we explore patterns in massive visual collections that may contain billions of images and video? How can we combine computational techniques with older methods of humanities, social science and media theory? How to best democratize computer vision and machine learning so they can be used by researchers and students without technical backgrounds? Since 2013 our work has been covered in over 300 international publications including New York Times, The Guardian, BBC, NBS News, Los Angeles Times, Washington Post, San Francisco Chronicle, National Geographic, Discovery Channel, CNN, Wall Street Journal, Wired, Buzzfeed, Slate, Gizmodo, The Verge, The Creators Project, Der Spiegel, Die Welt, El Tiempo, Politico. Here is a full Press list. We collaborated with Museum of Modern Art (NYC), Getty Research Institute, Austrian Film Museum, and other institutions interested in using our methods and tools to analyze their media collections. We have successfully applied our techniques to collections of films, animations, comics, magazines, books, newspapers, paintings, photos, video game recordings, and other media content. For details, see the Projects page. 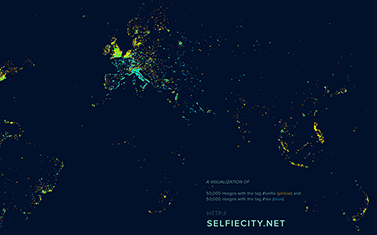 Selfiecity and On Broadway were created by Moritz Stefaner, Dominikus Baur and Daniel Goddemeyer in collaboration with our lab. 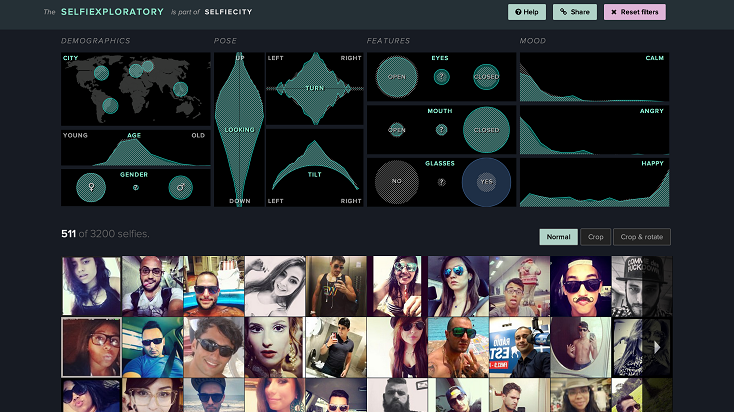 Selfiecity received the Golden Award in Best Visualization Website of The Year category in Kantar Information is Beautiful 2014 competition; On Broadway received the Silver Award in 2015 competition. Our work has been shown in more than 25 international exhibitions in art and design museums, architecture biennales, and galleries including The New York Public Library, National Taiwan Museum of Fine Arts, West Bund Biennial of Architecture and Art in Shanghai, The Graphic Design Museum in Breda, the Netherlands, and The Somerset Housein London. 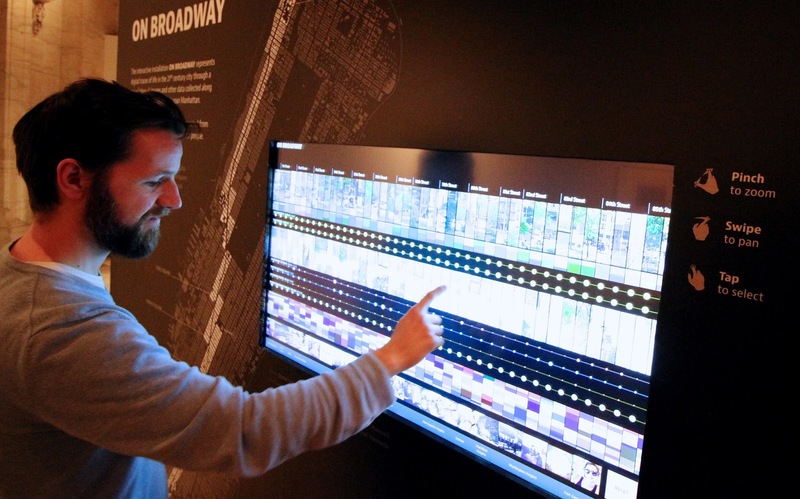 On Broadway, an interactive installation commissioned by New York Public Library for the exhibition Public Eye: 175 Years of Sharing Photography, December 2014 – January 2016. 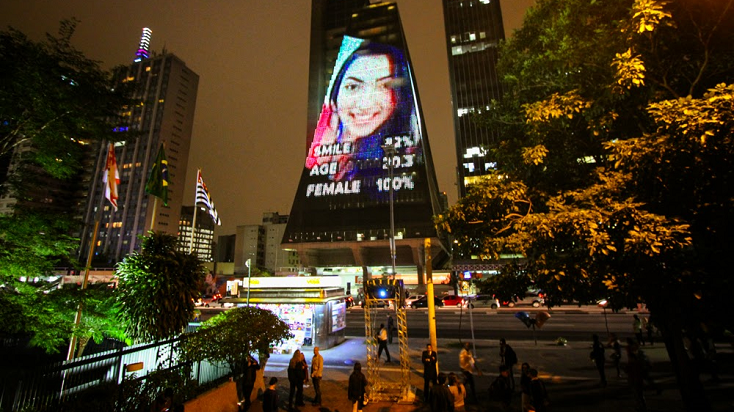 SelfieSaoPaulo, a site-specific visualization for 2014 SP_Urban Festival. 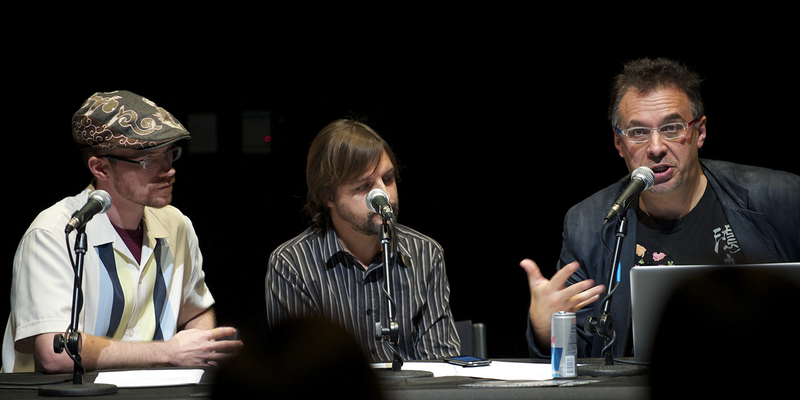 The work was presented on the media façade in Sao Paulo, June 9 – July 7, 2014. 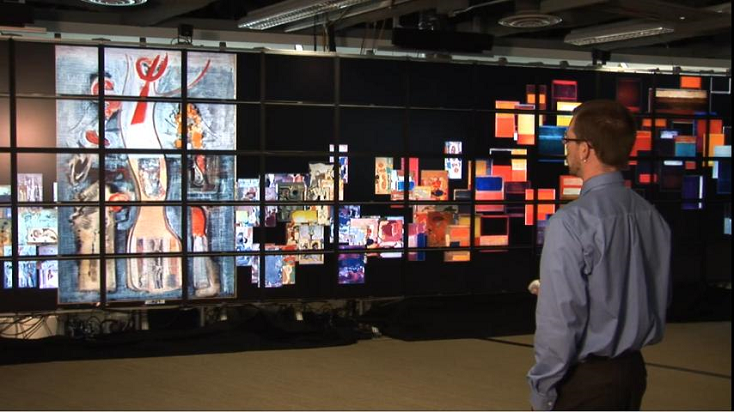 Our lab pioneered analysis and visualizations of large image and video collections in humanities context. 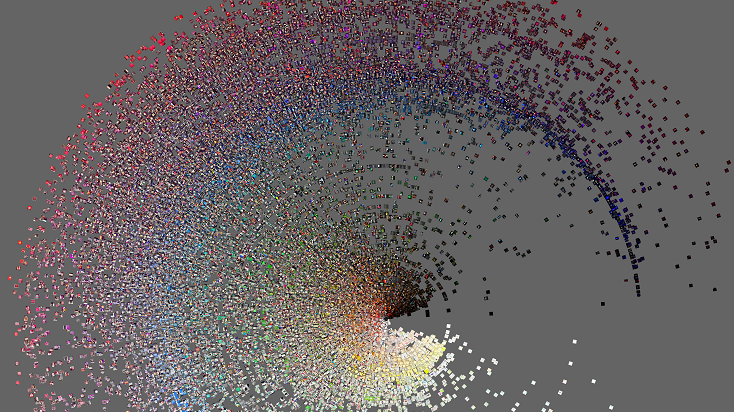 Phototrails, the first project to analyze and visualize millions of Instagram images. 2013-2014. Interactive exploration of image collection on a HIPerSpace tiled display using our software prototype. 2009.